Battlefield V moves into the next phase of its Tides of War system today. The latest update brings co-op game modes and smaller, infantry-focused maps. 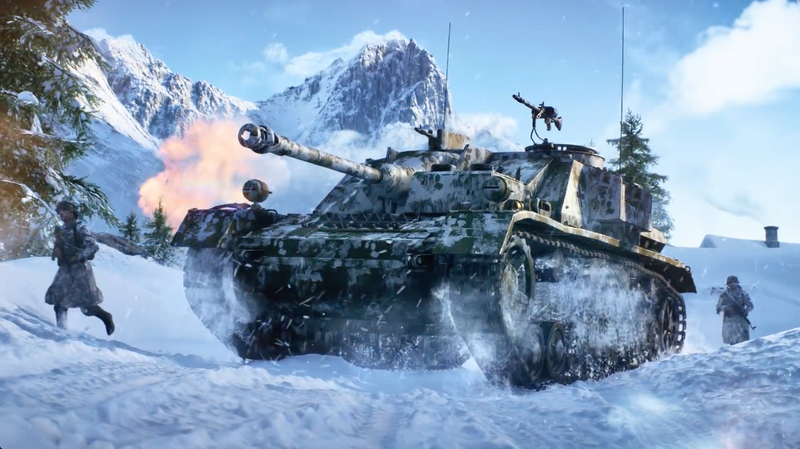 This sequential release of new content and new challenges has breathed continued life into a controversial game, and it’s one of the things that Battlefield V is doing right. Instead of releasing traditional expansions, Battlefield V uses a system called Tides of War to introduce new content into the game. Over the course of several weeks, new maps and game modes are added alongside weekly challenges that give players special items. The latest chapter, Lightning Strikes, brings new game modes such as the fan-favorite Rush mode, in which players need to plant bombs at objective points. There’s also a miniaturized version of the traditional conquest mode called Squad Conquest. It also adds new weekly challenges focusing on medic class achievements and playing the new modes. But what makes Tides of War work isn’t just the excitement of having new maps or gameplay modes. It’s how the challenges and rewards bring structure to the game. Tides of War assignments work a bit like moving up a ladder. There’s a handful of objectives that move you up, and if you move up enough tiers, you can get goodies. Each “rung” of the ladder splits off into different branches, but they all end in the same reward. For instance, one weekly challenge in the Overture Tides of War release focused on supplying teammates. You could play as a medic and give your teammates 20 bandages for healing, but it was also possible to progress by playing a support character and handing out ammunition. This means that while each new step of Tides of War might have a general idea—resupply teammates, build defenses—you tend to have some flexibility in what class you can play. This means that Tides of War assignments are less strict than the normal assignments that you can pick up for classes or weapons. Each assignment you complete earn you experience points. Complete enough and work up the tier and you’ll earn rewards. In the best cases, this can mean unlocking new weapons. The first chapter even brought back one of my favorite weapons from Battlefield 1: the Selbstlader 1906 rifle. I’m not always someone who chases after individual weapon assignments in Battlefield games. Having to sit down and headshot 20 people near objectives during a match might be challenging, but it can feel tedious for even the best of players. What I enjoy about the Tides of War assignments is that they provide a base minimum amount of structure. It’s just enough guidance to encourage teamplay and coordination without being too strict. You’ll sometimes need to move outside of your comfort zone, but it’s never for too long. You get to sample certain gameplay styles, get refreshed on mechanics, and feel like you’re part of a larger community activity. It’s always interesting to observe the community when certain tasks are assigned. This week, for instance, requires players to revive fallen comrades, which means maybe I’ll have some medics around who do their damn job. If there’s a downside to Tides of War, it comes in the chronological theming. Each new chapter is supposed to represent a new part of World War II, and while they do a good job expressing those themes—Overture’s big tank combat and Lightning Strikes’ fast-paced new game modes representing the early German blitzkrieg—it also means that players are still in a holding pattern when it comes to seeing more map variety. While Battlefield V’s focus on lesser-known fronts is appreciated, a major player concern has been the lack of things like maps set during the Pacific campaigns. Tides of War rolling along chronologically means that many of the familiar sights and sounds that players are eager for won’t come for a while yet.